Finalmouse has proven themselves as a highly reliable gaming mice producer. Their gaming mice have been highly rated by the gaming community, mostly due to the great value they offer in terms of quality and mid-range prices. One of their latest editions is the Finalmouse 2016 Classic Ergo. Like many other gamers, I’ve became excited over this mouse mostly because of its amazing design and the fact that it is the lightest gaming mouse at the moment – it weighs only 2.6 ounces. With its small form, the Finalmouse 2016 still remained ergonomic and high quality. Let’s see its features in detail. When the design and feel are in question, this is a really appealingly comfortable gaming mouse. Like I said, it’s incredibly lightweight. That increases the precision and enjoyment and helps the fast movements to feel effortless and very smooth. But, when the grip is in question, it is different for everyone, we all have different hand sizes. For the average sized people with average hands, this could be the perfect mouse. You should palm grip the mouse easily and comfortably. Another neat thing about this gaming mouse is the fact that the side grip area is different than the other mice. That means that it’s not made of rubber and the material will keep the shape for a long time, because of the non-slippery plastic and the bumps that are inverted. The gaming mouse looks and feels extremely durable. With the lovely shape, weight, look and design, this mouse feels very smooth and gives great comfort while using. I also liked how the clicks are easy and light, which is great when you play games at high speeds and you need to click faster. This makes it ideal for CS:GO players. The Finalmouse 2016 Classic Ergo uses Avego 3310 IR LED eSports sensor which offers amazing accuracy, even at high speeds. The sensor works flawlessly in many high demanding games, with an extraordinary feel and exquisite control. The scroll wheel is sturdy and stiff, but not sturdy enough to bother you while you are playing games. 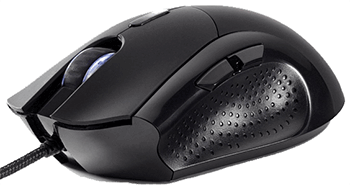 It has a moderate sturdiness that is excellent (previous versions of the mice featured softer scroll wheels which was easy to actuate). 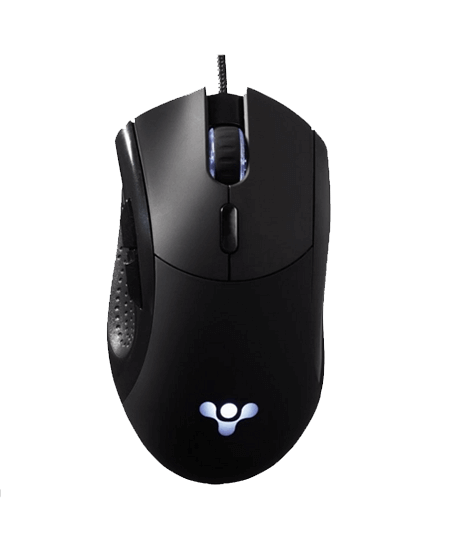 The sensor and the flawless tracking and movement are the main advantages of this mouse. The sensor is one of the very best in the business right now. But, please note that this mouse is easy to set up and is driverless. It has 4 DPI settings as well without any LED customization. So, if you are in search for customizable DPI settings and LED functions then this is not the gaming mouse for you. So, at the end, the Finalmouse 2016 Classic Ergo has several features that gamers will adore. Most notably the mouse has amazing build quality and shape. It feels great on the hand of any user, especially for the ones that have bigger hands. It moves and clicks very smoothly and enjoyably. The sensor is one of the best in the business mostly because it offers great speed, reaction and control. The ergonomic design, lightweight body and high-quality sensor enable maximum precision. The movement is fast – even in the high-performance games it reacts nearly instantly. It is an ideal gaming mouse for CS:GO players.